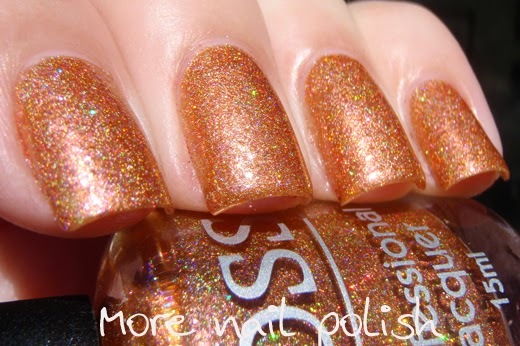 Today I have some swatches of a recent collection released by Aussie brand JOSS. 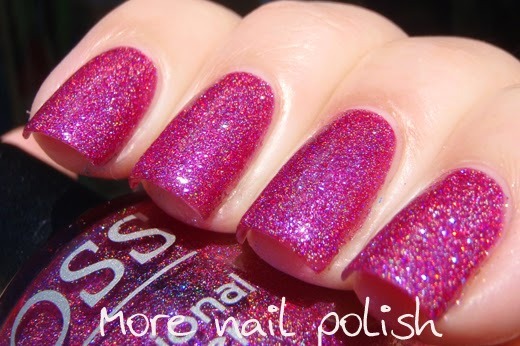 I know many of my Aussie readers will be familiar with the JOSS brand, because they are made by the same company that provide us all with our polish making supplies, Beauty World. 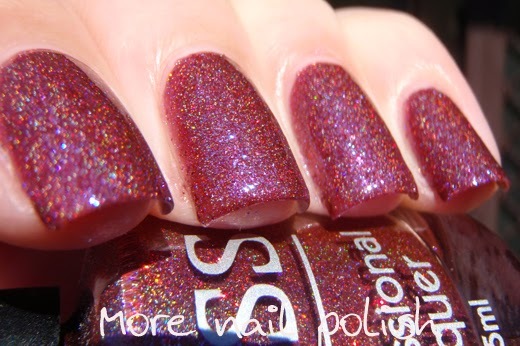 Many of the international readers will be familiar with JOSS from the previous Holo FX polishes shown here and here. There are 18 new shades and they are grouped into three collections. I have the first of those collections to show you today. 776 - Your mum wouldn't like it - A bright purple with both a holographic shimmer and micro fine holographic glitter as well as a purple glass fleck. This is two coats with Seche Vite top coat. 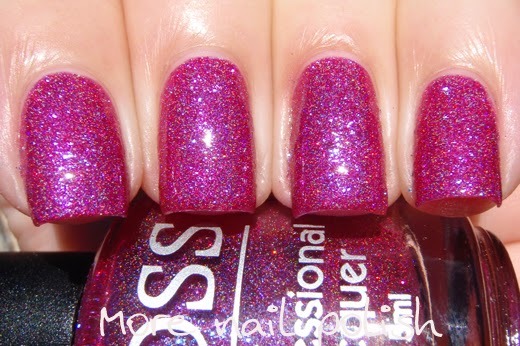 767 - Don't Dare Me - a rusty coral pink shade with pink glass flecks, holographic shimmer and micro holographic glitter. Two coats with top coat. 768 - Did you get my number? 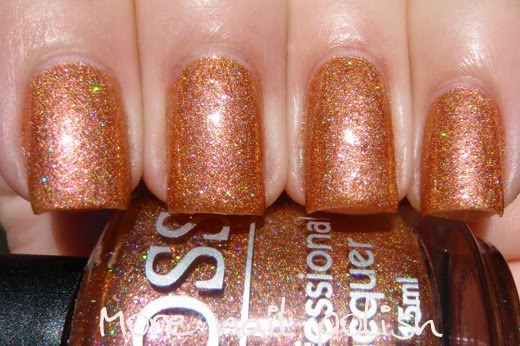 - a golden copper shade with copper glass flecks, a holographic shimmer and micro fine holographic glitter. Two coats with top coat. 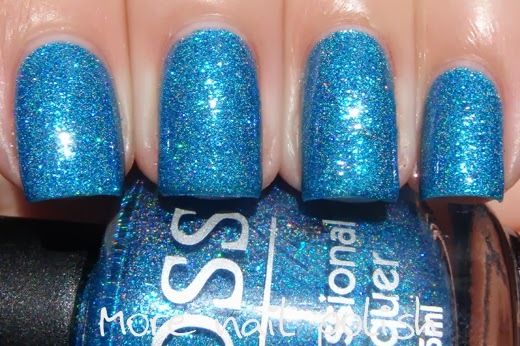 769 - Lost in the moment - a bright turquoise blue with blue glass flecks, a holographic shimmer and micro fine holographic glitter. Two coats with top coat. 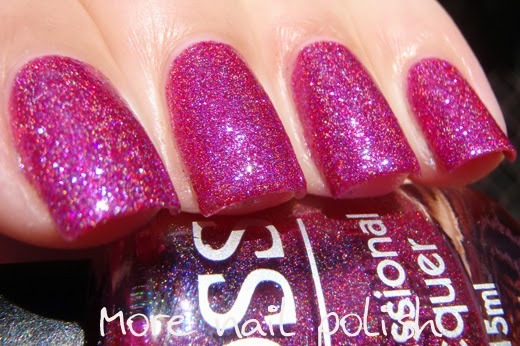 770 - Hold that thought - a rich magenta pink with blue glass flecks, a holographic shimmer and micro fine holographic glitter. Two coats with top coat. 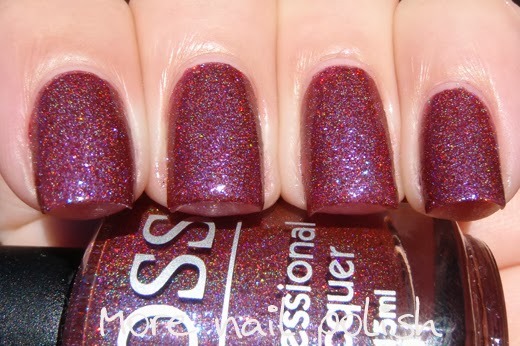 771 - First Date Last Date - an eggplant dusty dark red/brown with blue glass flecks, a holographic shimmer and micro fine holographic glitter. Two coats with top coat. The formula on all these was great. They had good coverage and were opaque in two coats.. Pigmentation is good and there are a couple of quite unique colours in the range. They are so much better in real life too, it's almost like they are too sparkly in the sun to capture them correctly, but then in the shade you don't get the see the fine holo shimmer. 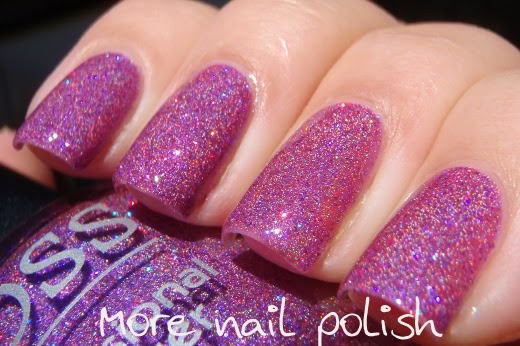 These polishes are available from Beauty World for AUD$6.95 - what a bargain! Beauty World have also reduced their minimum order to $25. I believe some of these new shades will be available soon at Llarowe. I love First Date Last Date the most, but all of them are wonderful! I love the combination of holo and glass fleck effects! "Your mom wouldn't like it" is my fave!